I produced four of the hours in this huge series hosted by Peter Jennings. Scott Simon interviews Diana and Jeffrey about Andersen and the book. 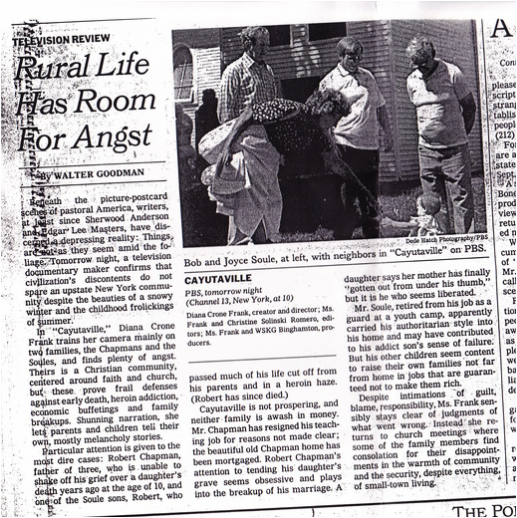 “[The Franks] have stripped away the florid Victorianisms of the previous translations. They have also widened the scope of Andersen’s oeuvre by including in their selection some little-known stories, like the psychoanalytically tinged parable, ‘The Shadow,’… as well as the strikingly modernist ‘Auntie Toothache,’ and the mystical elegy, ‘By the Outermost Sea’—which the American abolitionist John Brown is said to have read on the eve of his hanging…[the translation] pays careful attention to Andersen’s warm and, above all, insouciant storytelling style…"--Heather Caldwell, Book Forum. [The collection] gives us Andersen pure and clear. " 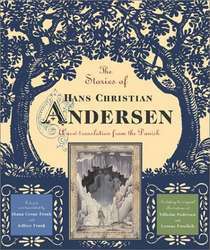 “…Andersen is almost never thought of as a literary artist, like his contemporaries Dickens, Dostoyevsky, and Flaubert. He is usually grouped instead with the Brothers Grimm, who did not invent their folk tales but recorded them; or else he is reduced to a cliché, a kindly uncle surrounded by tots, as in the classic movie with Danny Kaye. "This beautiful and useful volume combines new translations of the canonical stories with some of the original illustrations. The introduction and annotations are clear and helpful for older children or adults." "There is also a delightfully anarchic, antiauthoritarian streak in his fairy tales. In "The Emperor's New Clothes," it is the little child who sees through all the pretension of the court. And one finds the peculiar droll logic that is also present in Lewis Carroll. His use of language is extremely vivid, and he makes the otherwise rather harsh Danish language sound like music. He has a subtle and immediately recognizable tone of voice which the current translators have been very apt in catching. And that is no small achievement. What they are handling here are lines that are etched in the minds of every Dane. The slightest misstep, the merest attempt at taking liberties would cause instant derision. ”The classic stories…crackle with resuscitated life, thanks to the translators' faithfulness to Andersen's fresh, colloquial Danish. There's also an illuminating introduction, "The Real H.C. Andersen," which reveals the writer as much more than ‘a quaint nineteenth-century writer of charming children's stories." "...the real value of this edition lies in the accurate new translation by Diana Crone Frank and Jeffrey Frank. This is an exceptionally handsome book, well worth seeking out."